Who knew that a simple letter to a famous artist would have such an impact? The communal system of living set up by our ancestors served many purposes but a breeding ground for budding artist was not one that was intended. During that era (1855-1932) art and artists were discouraged. It was frivolous and a waste of time but the human desire for expression and creativity is difficult to stifle and so it was in the Colonies. Some of the early forms art took place as needlepoint, generally wall décor in a religious versus or prayers; crocheting and for men woodworking. All of these early forms are displayed at the Amana Heritage Museum and if you’re lucky you might find something in an antique shop here in the Colonies. When I think of art, my thoughts immediately go to painting and the masterpieces you see in the museums or art galleries. 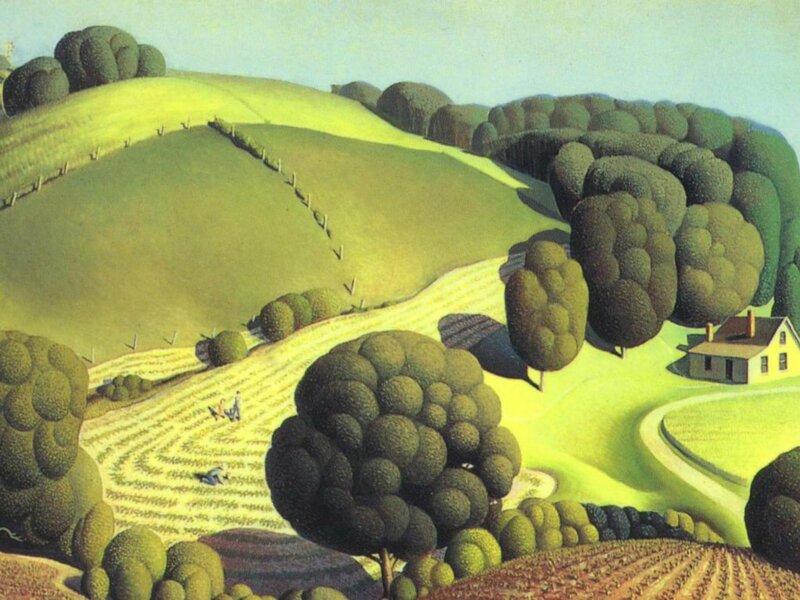 The famous artists of the world have inspired many young people to begin their artistic journey; in the Amana Colonies, Grant Wood of American Gothic fame, was the inspiration and teacher. Grant Wood was from Eastern Iowa and just as the communal era was coming to an end and new world was opening up in the Amana Colonies a budding artist from West Amana, Carl Flick, befriended the famous painter with a simple letter. Wood responded and Flick began studying with the famous painter. Flick’s art and skills flourish as Grant Wood spent many days in the Amana Colonies teaching, painting, and sketching the buildings and scenery in and around the villages. By the 1940s, brothers John and William Noe had begun painting scenes of life in Amana. Their talent was rewarded as each won awards in contests. Today their paintings are highly prized by residents of the Colonies and can sometimes be found at antique shops or estate sales. The same can be said for Ruth Schmieder, a housewife from Middle Amana who took an art course in the early 1960s and found a passion first for Amana scenery and later for miniatures. Today’s artists are also accomplished and have galleries that exhibit and sell their work. 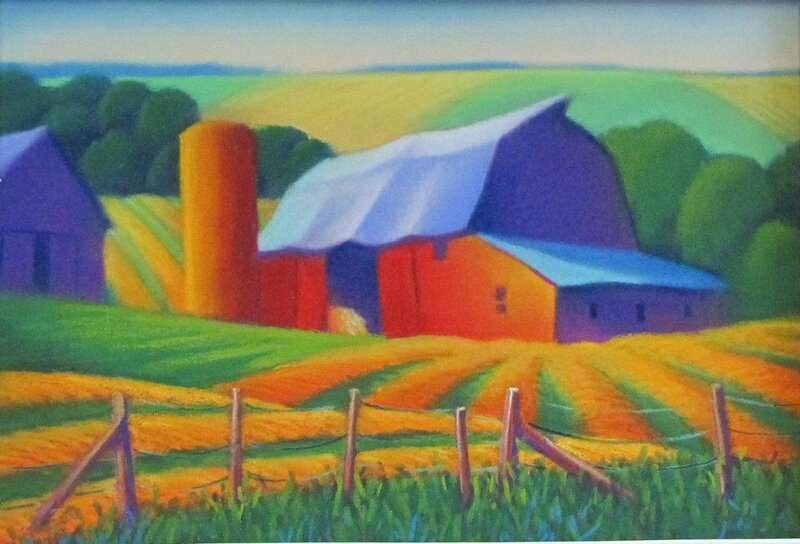 Gordon Kellenberger, a former art teacher in the Amana Schools, who also inspired a generation of Amana children to take up art, has become very accomplished with his pastels. His style is distinctive and his colors are bright. Michelle Maring-Miller works in watercolors and has done extensive paintings of the Amana Colonies. Her work can be seen at her own gallery on Amana’s main street. Art is more than oil on canvas but it is what first comes to mind and each Labor Day Weekend a special art event takes place in the Colonies. Fresh Paint is the work of the Catiri family, owners of Catiri’s Art Oasis. 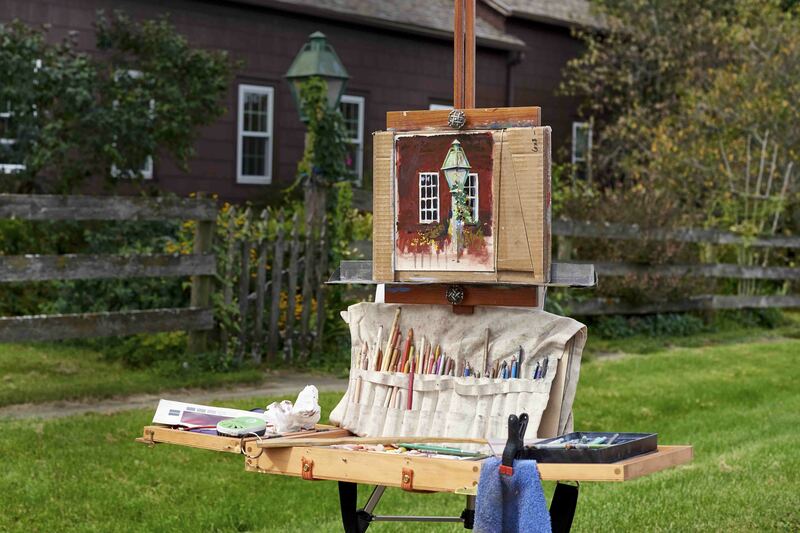 They invite the Midwest’s best painters to paint the Amana Colonies for 3 days. This weekend event has 40-50 artist spread out over the Colonies to paint numerous works which are then judged and sold at a gala dinner at the end of the weekend. Art in Amana has come a long way from that letter written by Carl Flick to Grant Wood. 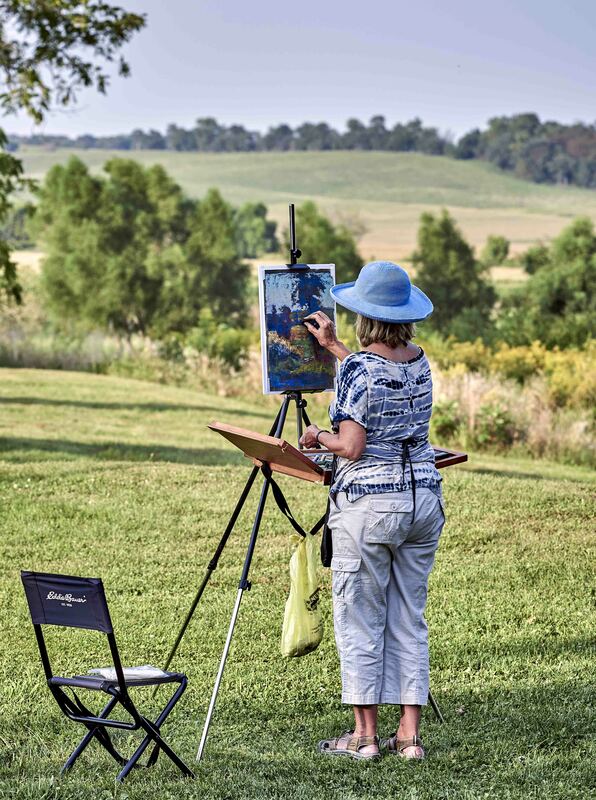 It continues to grow and become more innovative offering visitors to the Amana Colonies a variety of options to purchase a work of art or to bring their easel and create their own masterpiece where Grant Wood and others found so many interesting subjects.